Together they will pay tribute to R.E.M. by performing songs from R.E.M’s rich back catalog from the period 1982 to 1992 including – Losing My Religion, The One I Love, Man on the Moon, It’s The End of the World, Radio Free Europe, Drive, Orange Crush, Everybody Hurts, The Sidewinder Sleeps Tonight, Nightswimming, Stand, Fall on Me, Driver 8, Shiny Happy People plus plenty more. 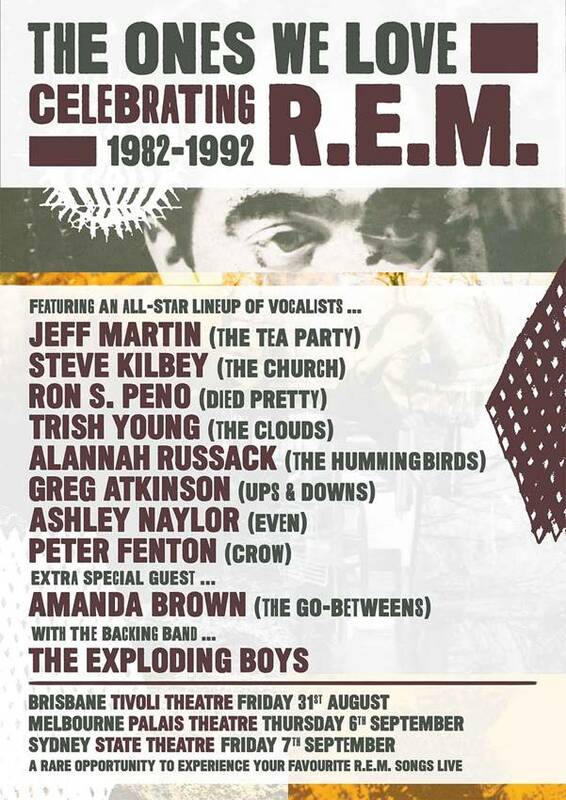 Backing them will be some of Australia’s finest musicians who will honour the sound that was uniquely and undeniably R.E.M.